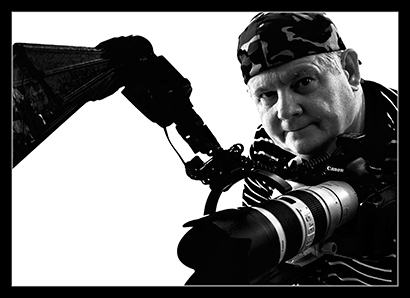 A short insight about the Photographer, Gary Knight. It was the birth of my first daughter some 30 years ago that saw me buy my first SLR film camera. At the time I was working with an avid nature photographer who guided me toward the Konica FS1. My love of photography grew from learning to use this beautiful little camera. Eventually I got into photographing orchid species and was a regular in the publication, Orchids Australia. I was fortunate in making the cover of this publication twice and having some of my work published in a number of orchid books. As my interest in orchids waned, so did my interest in using my much loved FS1. Ironically, late in 2010, the same daughter who caused me to buy the FS1 asked me to join her in doing a photography course in Maleny run by Nature photographer, Andrew Goodall. By this stage I had bought a Canon 20D for work and had a couple of lenses to go with it. Andrew’s love of nature photography, made me realise that the enjoyment I got from photography had not left me and I started exploring the various aspects of nature photography. Even after winning first place in our local show for a landscape, it was photographing birds that really had me hooked. Like all nature photographers, my desire for more reach saw a number of bigger lens purchases and my current Canon 7D. My knowledge of birds was fairly limited, therefore I joined the local Bird life Australia group so that I could learn more about my subjects. This was invaluable in my education on birds and their environments. As my knowledge of birds grew so did my appreciation of getting out in the bush and enjoying the peace and tranquility. I soon developed a great deal of patience and become to love the stillness of the wait. I rarely roll off a 1000 images in a morning these days and often only come home with just a few images from a shoot. Maybe it’s that deep down hunting instinct that drives me to see how close I can get to my subject to get that great shot and often use one of my shorter lenses to make it just that little bit harder. I find I am my own toughest critique, and strive for that even better shot than the last one. In this aim, I am like a sponge to ideas and techniques learned from other photographers and the internet. Early 2014 I was fortunate to acquire my first big lens. The second hand Canon 600mm f4 non IS has opened up a whole new level of bird photography for me. Even though it is an old piece of glass, the quality is amazing. I hope you enjoy my images and share the passion I have for getting out in the wild with a camera.